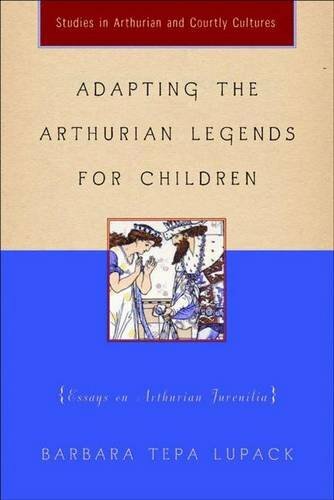 Adapting The Arthurian Legends For Children: Essays On Arthurian Juvenilia (Studies In Arthurian And Courtly Cultures): 9781403962966 Hardcover - LIMEROCK BOOKS INC.
For centuries, the Arthurian legends have fascinated and inspired countless writers, artists, and readers, many of whom first became acquainted with the story as youngsters. From the numerous retellings of Malory and versions of Tennyson for young people to the host of illustrated volumes to which the Arthurian Revival gave rise, from the Arthurian youth groups for boys (and eventually for girls) run by schools and churches to the school operas, theater pieces, and other entertainment for younger audiences, from the Arthurian juvenile fiction sequences and series to the films and television shows featuring Arthurian characters, children have learned about the world of King Arthur and his Knights of the Round Table. Barbara Tepa Lupack has written extensively about the Arthurian legends and about American literature, film, and culture.